Call FOH&L for a free consultation. 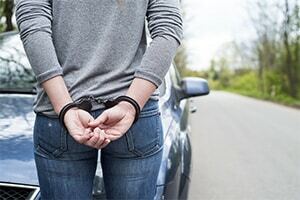 Criminal charges can have a serious and long-lasting impact on your life and the lives of your loved ones. The criminal defense lawyers at Foster, O’Daniel, Hambidge & Lynch will fight to protect your rights and make sure you are treated fairly. Our team is not afraid to pursue a case to trial. If you need a criminal defense lawyer in the Evansville area, call Foster, O’Daniel, Hambidge & Lynch. Felonies are serious crimes that are usually punishable by prison terms of more than 1 year up to life in prison, or even the death penalty. 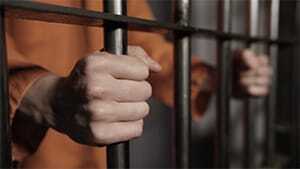 Examples of felonies include murder, battery, burglary, arson, sexual crimes, and drug dealing. Felonies can be violent crimes or white collar crimes involving finances such as money laundering. Because the penalties for committing a felony can be so severe, it is important to have good legal representation. Misdemeanors are less serious crimes that are punishable by less than 1 year in jail and/or fines. Common misdemeanors include DUI, shoplifting, vandalism, some drug possession charges, and resisting arrest. Although misdemeanors have less severe punishments than felonies, they can still cause an impact on your ability to find a job or housing. Whether you need legal representation for state or federal criminal matters, call the law firm of Foster, O’Daniel, Hambidge & Lynch to get the fair representation you deserve. We serve Evansville, IN and the surrounding counties including: Vanderburgh, Posey, Gibson, and Warrick.